A Fulani nobleman displays his mountâs impressive livery. The social importance of horses is reflected not only in their elaborate trappings but also in the number of titled officials who care for and dress them. 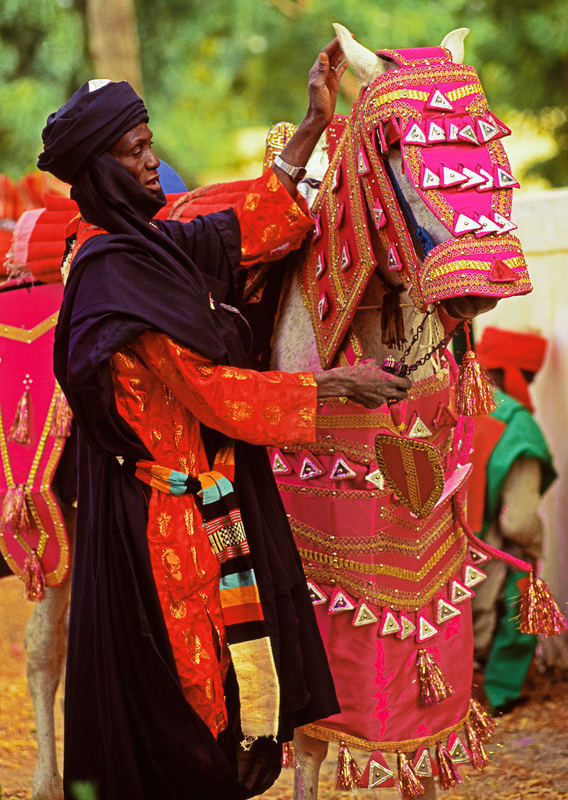 These highly respected men, originally responsible for the maintenance of Fulani war horses in the historic Katsina cavalry, now groom and equip horses for ceremonial events and accompany members of the royal family at all public occasions.